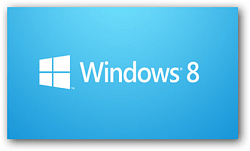 Windows 8 has been released to manufacturing, its shipping bits are finalized. It will soon be available for MSDN and TechNet subscribers. Here’s why I am making the switch right away. I’m as excited about this release of Windows as any I recall. And as soon as possible, I’m moving to Window 8 on my production computers. I’ve been using the Consumer Preview on a laptop since its release. And while I’ve heard all the grumbling, I see Windows 8 sporting some great new features. I’m just talking about the traditional desktop, and not a single Metro Style app. So, what are these great new features? We’ve done a lot of deep dives into the new features of Windows 8, so I’ll just recap the features I find most compelling. Storage Spaces. With Windows 8, my large 3TB drives are recognized as a single drive partition. 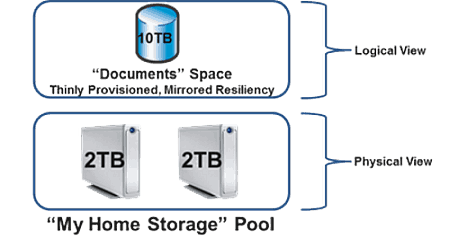 But what’s even more groovy is Storage Spaces will consolidate multiple physical drives into one logical drive and automatically handle data redundancy. This makes file storage on each of my PCs safer. It also means I can replace my aging Windows Home Server (WHS), with its Drive Extender technology, with a Windows 8 machine. But unlike WHS, Windows 8’s Storage Spaces is fully integrated with Explorer and other Windows tools, making this a fascinating storage solution. SkyDrive. Microsoft is serious about the level of integration of cloud storage in this release, and early reviews seem to suggest that Microsoft has got it right. Once you try cloud storage with this level of OS integration, you’ll never look back, I promise. 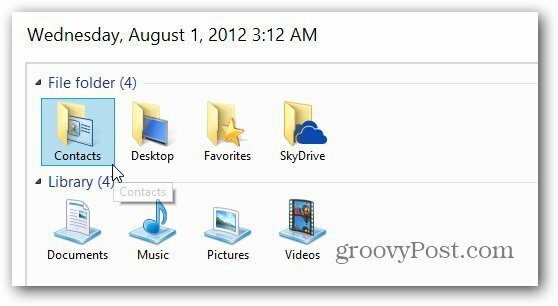 File History has been around in Windows for some earlier releases, but Windows 8 does a better job of exposing it to users. Finally! A file history solution that gives you the ability to go back to earlier versions of files quickly and easily. Windows Desktop. In Windows 8, there’s several refinements to elements of the OS. They might seem minor, but they add up to an improved experience overall. Windows Explorer gains a ribbon interface, copying and moving files is flexible and you can mount disk images as part of the file system. Add to that a robust new Task Manager and the Windows 8 desktop experience is better than previous versions. Windows Switcher shows thumbnails of running programs to quickly facilitate moving between active windows. It also allows for the display of a running Metro app on the left or right side of the screen. Hyper-V technology is Microsoft’s industrial strength virtualization engine that was introduced in Server 2008. Provided your system can utilize Hyper-V, it will let you run different operating systems or applications in a sand boxed environment. Faster Booting, Recovery and Restore. Microsoft fields new technology which makes booting Windows 8 blazing fast, even from a spinning disk. Install Windows 8 on a solid state drive (SSD), and you had better not blink or you’ll miss the boot up. Security Essentials is now built into the OS as part of Windows Defender. But that is just the start of the security story. At the week long Black Hat and DEF CON security conference in Las Vegas, only one OS escaped unscathed. Yep. Windows 8 is the one! Finally the grooviest part of why I’m switching to Windows 8. You get all of these new features for the introductory upgrade price of $39.99. I haven’t even talked about a single Metro style app. In my opinion, there’s plenty of reasons to make the switch. Have you given Windows 8 Consumer Preview a try yet? What are your plans as we move into general availability this Fall? Leave a comment and tell us about it. Big day for Microsoft and Windows 8. So far…. nothing on MSDN or Technet but I’m keeping my eye out! Should be dropping any moment (I hope). Me too! I feel like a kid the day before xmas … I keep looking in my stocking, but nothing there yet! My guess would be it should be there for us around noon CST? My issue is with the schizophrenic nature of the new OS. Those features are great, but for the average user, having to move back and forth between 2 interfaces to launch programs, errrr apps rather, and make changes to some settings in Metro, I mean Windows 8 Interface, and some in the Windows, I mean Desktop, will be a nightmare. I’m thinking it’s Microsoft’s first step to get rid of the desktop. Microsoft has trained an entire planet to use a “desktop” to find things and get what they need. Apple proved with the iPad that it’s actually about the APPS, not the OS — desktop — file explorer. If they can give you everything you need in the “Metro” interface or whatever Microsoft is calling it these days, there won’t be a need for the desktop any longer. Granted this will take some time as application developers need to “Metro-i-fy” all their apps and then users will need to retrain themselves to not be dependent on the typical Start-Run Toolbar and desktop. Overall, I think it will take some time to retrain the planet but in the long-run, I think it’s for the better (although I agree @chrisaroz:disqus, I’m still having a hard time with it….. for now. I experienced that, too, for the first couple of weeks of my use of the consumer preview. Funny thing is, once I got use to the moving between metro and desktop, I stopped thinking about it and it all became natural and easy. I’m a bit confused by your picture of hard drive storage. Windows will turn 2-2 TB drives into 10 TB of storage? That alone is worth the $40. Good catch, John. Naw, Win 8 is not THAT good. But you are going to love Storage Spaces. At lease I do. Windows 7 gave me the “program not responding ” error all the time, Windows8 does not. i’m moving for that. reason alone. Interesting. Under what circumstances were you seeing the error? Be good to collect other instances of changed behavior like this. basically in all instances. In Win7 this error would occur in native apps such as explorer, office apps and third party apps. Running a core i7 875k with vertex 3 drive ssd drive with 16gb of ram, stock windows and it would do it. doubt it is a horsepower problem, but it is madenning. On win8 it has hapenned only once. Interesting. You’ve got a terrific rig, I can’t see horsepower being a problem. I see that issue once in awhile but almost only when in MS Outlook, probably because of the large PST file I run with. I use a Vertex ssd too, in my case the second generation. I wonder if you might have a driver issue with the use of your ssd? It is the only element of your rig I see that is at all out of the norm. In any event, I’m glad to hear that this is not a frequent problem under Win 8. @05bf303ef8cdd693dc40a542ef3af249:disqus Good feedback. I look at it like this — Windows 7 is 2009 and although Microsoft no doubt re-used much of the code, I’ve found software makers prefer to put more energy in the newer versions so I expect the code to be a bit cleaner and stable not only from an OS standpoint but also with 3rd party drivers. So yeah, I’m with you on that one. No doubt about it, @Ocelotty1, metro is definately a “version 1.0” product with its share of rough edges. I look for MS to patch and fix a-plenty.